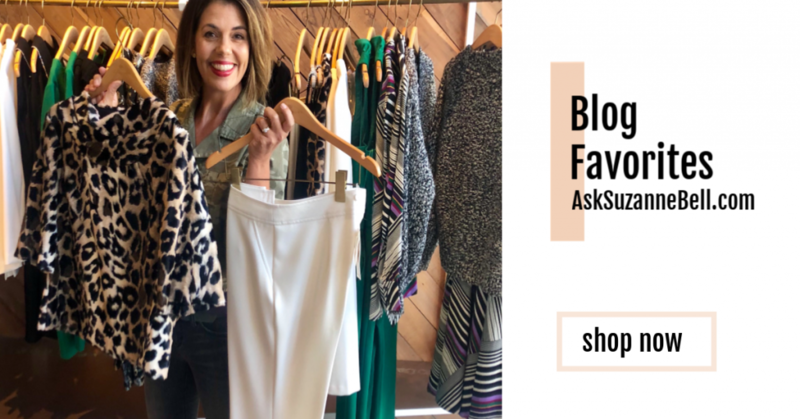 Closet Orphan…an item you love, but don’t wear, because you can’t figure out how to style it. The struggle is real my friends. But sometimes, all it takes is a mate, or in today’s case the perfect pair of shoes, to turn that item your almost donated, into a piece that works with your wardrobe. I wear the color black quite a bit because it’s easy to assemble outfits around and always looks professional, put together and chic. On the flip side, when you wear a lot of black, your outfits can tend to look the same and can get a bit boring. So why not mix things up you say? Time and effort. But if you are bored with your every day, I say it’s worth the effort. 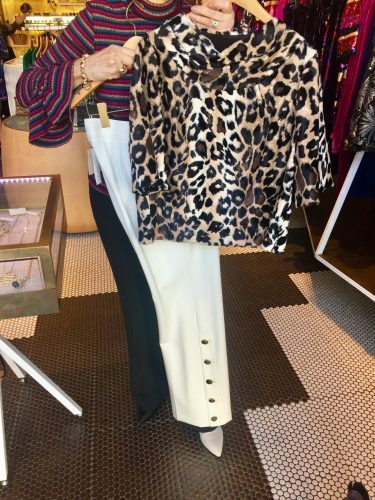 THESE beautiful winter white flare pants entered my wardrobe back in September. 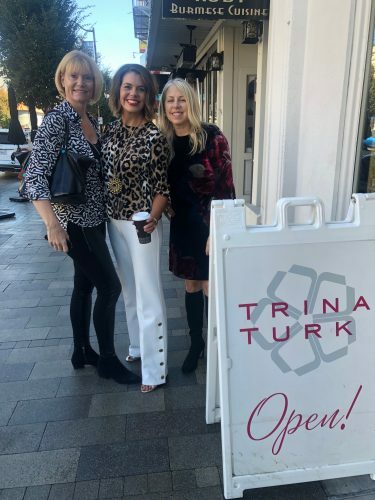 I had selected them to wear at a Trina Turk shopping event, that I co-hosted with my fashionable blogger pal Kim Wheeler of Northern California Style. When saw them on the rack, it was love at first sight, yet my nagging style conscience kicked in with, “be practical, buy them in black”. 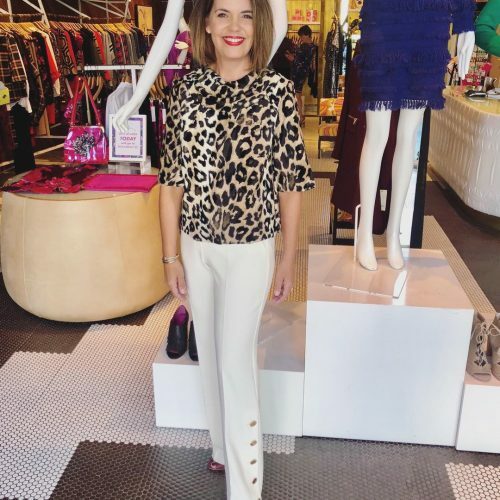 But Kim, along with the fabulous sales ladies at Trina Turk Burlingame, convinced me these trousers would be a welcome addition to my wardrobe, and paired them back to an animal print top, that I then wore for the October event. My struggle back then, and up until very recently was what shoes paired best with these stunning trousers? 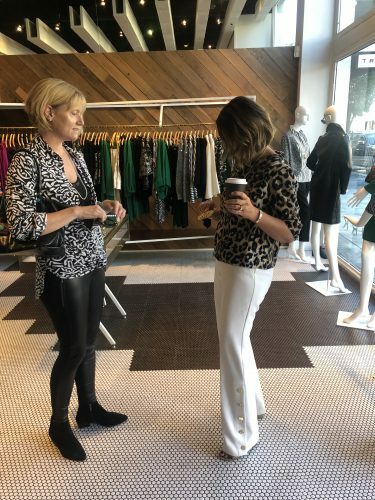 I tried cream booties, animal print pumps, black boots, gold sandals, burgundy patent sandals-yet nothing seemed just right. That is until I found (THESE) snakeskin mules a few weeks ago over at Nordstrom. With a walkable heel, the black/off white print was the perfect mate for these statement trousers. So you see, all it took was a pair of shoes, and a few closet try-on sessions, to get these pants to work within my existing wardrobe. Mission Accomplished! ‘Fete 2’ Pant by Trina Turk styled with brown shooties from the store display. Had the heel been a bit lower, I would have bought the display shoe and saved myself alot of running around. Pants on sale now at Trina Turk (HERE). Still on the hunt for the perfect shoe, I pulled together an outfit with (THIS) animal print faux fur top and (THESE) gold mules from Target. These shoes on their own are great, but they were not really right for this pant, as the pant hem kept getting caught under my heel which made walking a challenge. It didn’t help that I had not hemmed them. I was still on the hunt for the right shoe so I didn’t want to commit to a set hem length. Many of you will recognize my pals Andrea from Andrea’s Wellness Notes and Kim from Northern California Style! Finally, with the right shoe, I was able to hem my trousers and wear them for work. 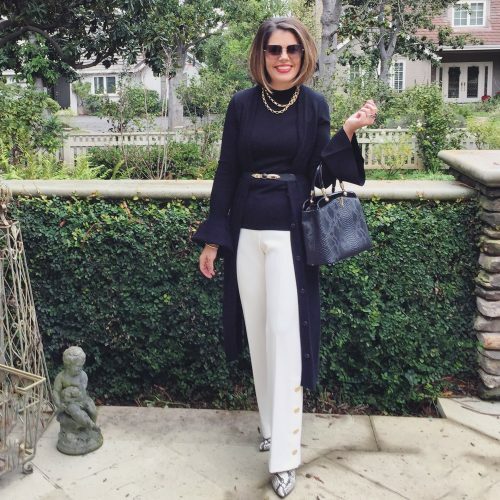 No longer a closet orphan, these pants work back to so much in my wardrobe – and all it took was finding the right pair of shoes to turn these not-so-basic trousers into a closet staple! Do you have items you love, yet don’t wear? 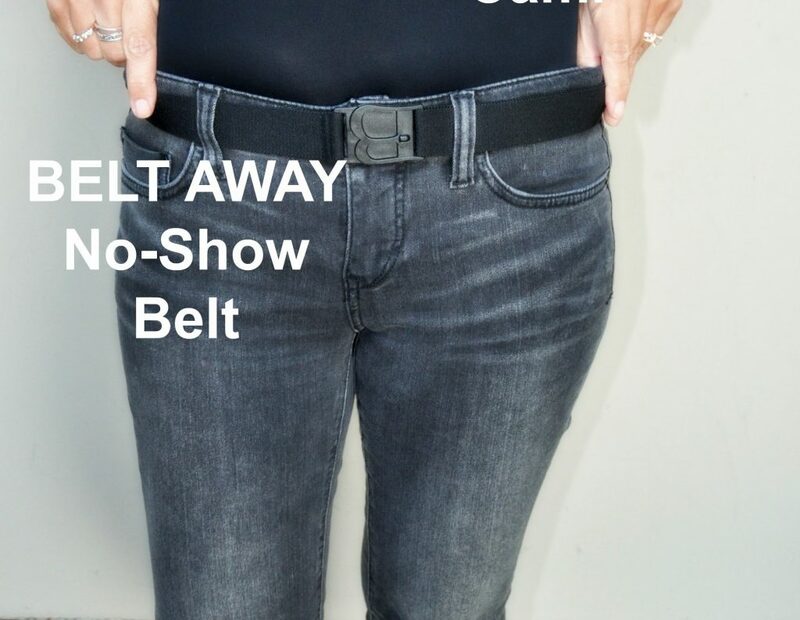 Have you asked yourself why you don’t wear said item? The solution could be as simple as finding that second piece, one that will allow you to work your purchase back into your wardrobe. I recommend searching YOUR closet first. You may already own the perfect mate-you just don’t know it yet! LET’S GET SOCIAL! Do you follow AskSuzanneBell on Facebook? 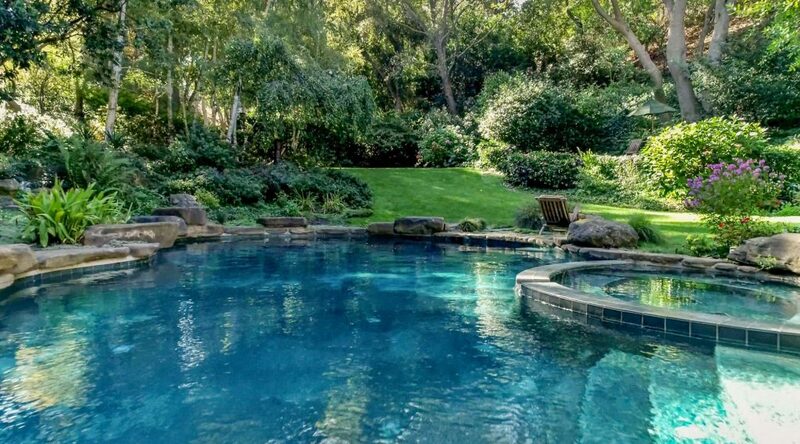 I invite you to join the fun by following my Facebook Page @AskSuzanne (HERE). You will find I post daily to Facebook, often sharing on topics not covered here on the blog. AND on INSTAGRAM for stories and daily inspiration (HERE). Hi Eva! 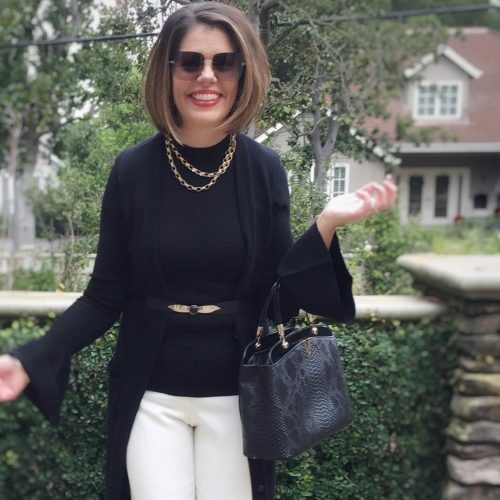 Thank you so much for following my style journey! I am totally into snakeskin right now-it’s my new favorite print! Look for more ways to style it in upcoming posts! Wow! Tres chique! 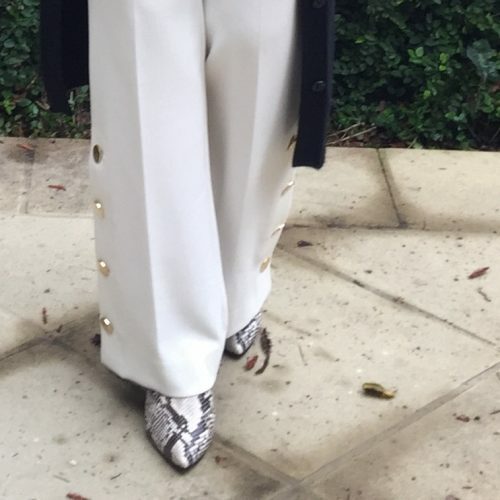 Amazing trousers and fabulous shoes. Could you please explain the term “winter white”? Everyone Seems to have a different interpRetation. Your shoes are perfect with the slacks! I love snakeskin, especially python! Good question! When I think of “winter white” the shade is NOT white as we know it. It’s a warmer tone, more like an ecru. I love winter white head to toe in the winter – it’s so very elegant.